The relationships between family communication and family system processes and the health and wellbeing of family members, particularly adolescents. Dr. Bell is involved in a 40-year cross-cultural longitudinal study of marriage and family; samples from the U.S. and Japan. The study involves structured home interviews and 25-year follow-ups focusing on wellbeing, resilience, and adult child-elder parent relationships More information about this research can be found at www.familylegacies.net. 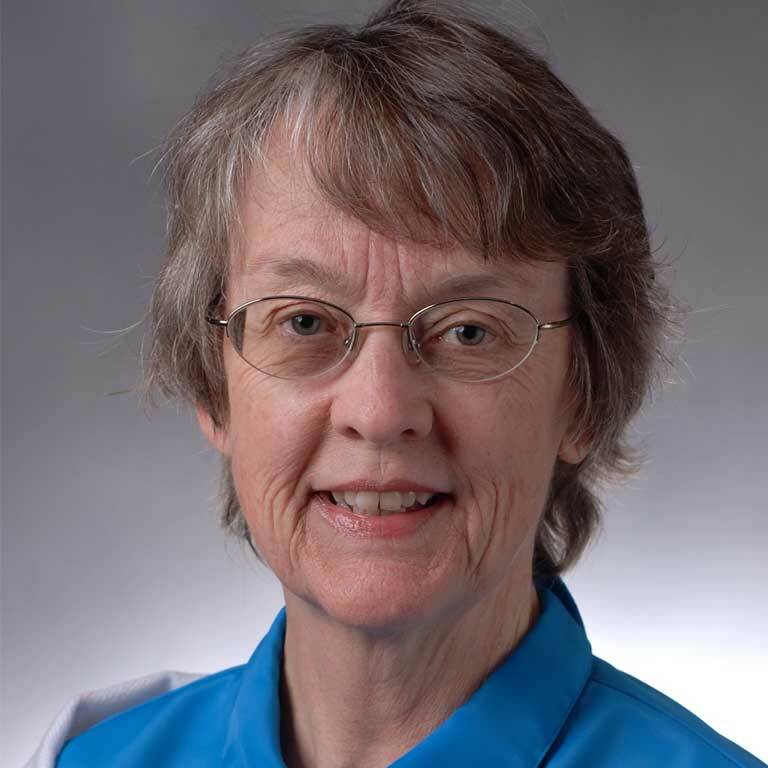 Dr. Bell has taught in the areas of interpersonal, restorative, health and family communitation; family sociology (School of Liberal Arts) and family health (School of Nursing). She also supervises and trains in family therapy. Indiana University Purdue University Indianapolis, Research Support Funds Grant (RSFG). Family Legacies: An Intergenerational Study of Families. To collect Wave 2 data for intergenerational study of families (2008-2009). Texas Association for Marriage and Family Therapy Special Commendation Award for Outstanding Dedication and Commitment to the Development of Marriage and Family Therapy in Texas (2006). Texas Higher Education Coordinating Board grant. A longitudinal study of marriage from mid-life through old age (2000-02). Texas Higher Education Coordinating Board grant. Adolescent family process: inter-generational patterns; relationship to mid-life well-being and adult child-elder parent relationships (1998-2000). Japanese Ministry of Health and Welfare Scientific Research Fund grant: Adolescence and the Family Environment, A Cross Cultural Study (with T. Munakata, D.C. Bell, and Y. Kohno, 1987i-89). NIMH research grants (inc. R01): Individual-Group Interface: Focus on the Family (with David Bell, 1977-83). Hogg Foundation for Mental Health grant: Family System Dynamics and Child Abuse (with Blaire and Rita Justice, 1977-83). Bell, L. G. (2015). Adolescent family affects adult wellbeing in Japan and the U.S. Archives of Scientific Psychology, 3, 138-149. Bell, L. G., and C. S. Cornwell. (2015) Evaluation of Family Matters: A Family Wellness Course for Persons in Prison. Journal of Correctional Education, 66, 45-57. Bell, L. D. & D. C. Bell (2012). Positive Relationships which Support Elder Health and Wellbeing are Grounded in Midlife/Adolescent Family. Family and Community Health, 35, 276-286. Spath, M. L., Godfrey, J., Taylor, A., and Bell, L. G. (2011). "Promoting interdisciplinary care of patients and families: A classroom project". Nurse Educator, 43,175-178. Bell, L. G. (2011). "Communication in families related to health and illness". in M. Craft-Rosenberg and Pehler, S. R. Eds., Encyclopedia of Family Health. Thousand Oaks, CA: Sage, 214-215. Bell, L. G. and Bell, D. C. (2009). "Effects of Family Connection and Family Individuation". Attachment and Human Development, 11, 471-490. Bell, L. G. (2009). "Mindful psychotherapy". Journal of Spirituality in Mental Health, 11 (1&2). Bell, L. G., Meyer, J., Rehal, D., Swope, C. Martin, D and Lakhani, A (2007). "Connection and individuation as separate and independent processes: A qualitative analysis", Journal of Family Psychotherapy. Bell, L. G. and Bell, D. C. (2005). "Family dynamics in adolescence affect midlife well-being". Journal of Family Psychology. Bell, L. G., Dendo, H., Nakata, Y., Bell, D. C., Munakata, T., and Nakamura, S. (2004). "The experience of family in Japan and the United States: Working with the constraints inherent in cross-cultural research". Journal of Comparative Family Studies. Bell, L. G., D. C. Bell, and Y. Nakata. (2001). "Triangulation and Adolescent Development in the U. S. and Japan", Family Process. Bell, L. G. (1992). "Song without words". In R. Simon, C. Barrilleaus, M.S. Wylie, and L. M. Markowitz (Eds. ), The Evolving Therapist, New York: Guilford, 81 - 86. (reprinted from The Family Therapy Networker, 13, no. 2. Bell, L. G., L. Ericksen, C. Cornwell, & D. C. Bell. (1991). "Experienced closeness and distance among family members". Contemporary Family Therapy. Bell, D. C. & L. G. Bell. (1989). "Micro and macro measurement of family systems concepts". Journal of Family Psychology. Bell, L. G., C. Cornwell, & D. C. Bell. (1988) "Peer relationships of adolescent daughters: A reflection of family relationship patterns", Family Relations. Bell, L. G. (1986). "Using the Family Paper Sculpture for education, therapy, and research", Contemporary Family Therapy. Bell, L. G. & D. C. Bell. (1984). "Family climate and the role of the female adolescent: Determinants of adolescent functioning", In D. H. Olson and B. C. Miller (eds. ), Family Studies Yearbook, Vol. II (295-303), Beverly Hills: Sage. (Reprinted from Family Relations, 1982). Bell, D. C. & L. G. Bell. (1983). "Parental validation and support in the development of adolescent daughters", In H. D. Grotevant and C. R. Cooper (eds. ), Adolescent Development in the Family: New Directions for Child Development (pp. 27-42), San Francisco: Jossey-Bass. Creation of FAMILY MATTERS, a family wellness course for people in prison that includes parenting from prison. See www.familymatterscourse.com. Texas State Coordinating Board High School Teachers Program (mentoring science teachers over the summer) 1999; 2001. Fulbright Scholars Sponsor: Y. Nakata, Japan, '92-93; E. Molina, Nicaragua, 93-94. Dr. Bell has also given over 45 workshops, about half in Japan. Primarily on various family therapy topics and techniques, training of family therapists, family sculpting, family of origin, contemplative practice and psychotherapy, and Japanese and U.S. culture.